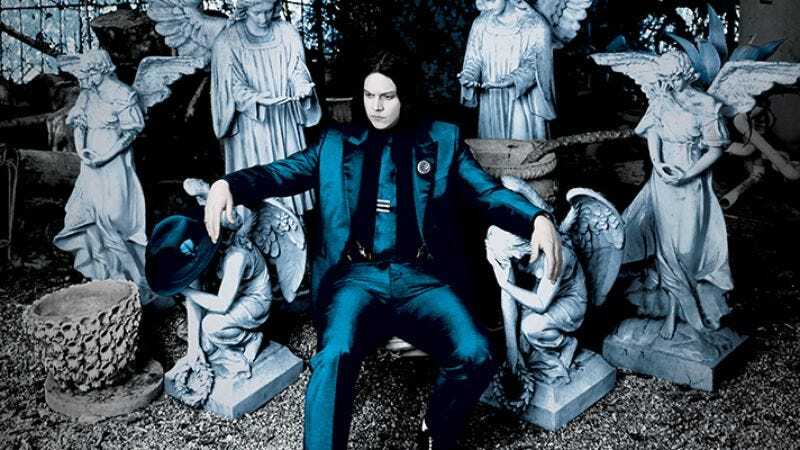 In news that should come as no surprise considering how many festivals the guy is scheduled to play this year, Jack White will release a new album this spring. Lazaretto will be released June 10 via Columbia/Third Man, the latter half of which is White’s own storied label/record store/fun factory. By way of a quick taste, White is offering the instrumental “High Ball Stepper,” whose video is very blue and goopy. (You can watch it below.) White superfans can pre-order the limited edition version of Lazaretto now, which comes with a seven-inch (which they were nice enough to send us today—thanks Third Man, bribes work!) and a big ol’ book of lyrics and photos. White will play Governors Ball in New York, Bonnaroo in Tennessee, Forecastle in Louisville, and Osheaga in Montreal in the coming months, and presumably lots more dates.